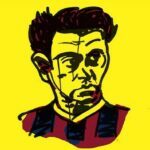 Editor’s note: This short essay appears in our issue-07 timeline on the history of FC Barcelona. here. [N]othing is perfect. Everything can always be better. Maybe that’s what Barcelona’s board members were thinking as they planned for the 2008 season. Away went Frank Rijkaard, who had managed the club to a Champions League title; in came Pep Guardiola, who would win two. Off went Ronaldinho, twice named the planet’s best player while wearing the blaugrana; up stepped Lionel Messi, who would capture the same honor four years running. Spain won the 2008 European Championship with heavy influence from its Barcelona contingent (including the tournament’s best player, Xavi), but as good as the national team was in 2008 and 2010 and 2012 — and La Roja was the best — Barça was even better. 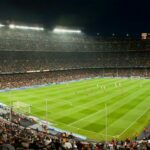 Barcelona became the first club to win six titles in a calendar year when Pep’s men lifted the Club World Cup in December 2009, and all told, the club won 10 of the 13 competitions it entered in the three seasons beginning in 2008. More impressive than these honors was the style with which they achieved them. 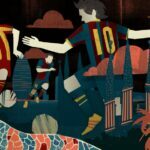 To watch Barcelona at its height was to witness a new way of playing, an evolution in style so complete that it demanded metaphors from fields of discovery like science and medicine to make sense of it. The team was one beautiful organism, the ball zipping about like 11 brains knocking around a neuron. Or, if you found yourself cheering their opponent, Barça was a virus, spreading and contracting, wearing down and suffocating your own poor stiffs with the certainty of a terminal illness. And yet as much as Barcelona’s achievements were those of a team, the team didn’t squash individual personalities. Just look, with your eyes, at Puyol. Or at Pinto, the backup goalkeeper too busy skateboarding and rapping and collecting medals after other peoples’ cup finals to care if he actually got onto the field. (Zlatan is an exception, but then the very concept of soccer as team sport seemed to offend him.) Xavi and Messi, the players we most associate with this period, were elevated by Pep’s insistence on the collective. They were two great talents made greater by circumstance, circumstance being my word for La Masia’s existence, and Cruyff’s long shadow, and Pep’s new ideas, and the financial means to buy the world’s best players who hadn’t grown up, either by luck or by scouting, in Catalonia. Nothing is perfect. Everything can always be better. Except in the case of Barcelona, from 2008 through 2011. George Quraishi is founder and editor of Howler. He tweets under @quraishi.